To distant shrines renowned in sundry lands. They are called "Thin Places". These are locations where the supposed barrier between material reality and spiritual reality is said to be "thin" or permeable. 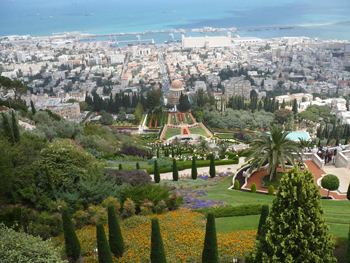 Spiritual reality allegedly impinges into material reality at these locations and one "senses" a palpable connection to the spiritual nature at the core of reality – a sense of peace, wonder, and awe. Sometimes people obtain this sense when visiting "natural" settings – beautiful locations devoid of the impact of human presence; at other times this feeling is evident in historical places of worship. It is particularly this second sense which informs the age-old desire to go on pilgrimage, to seek out, as Chaucer, the greatest poet of the Middle Ages, says, "distant shrines renowned in sundry lands". It is an urge found among devotees of all the major world religions. Christians have gone on pilgrimage since the very beginnings of Christianity, some 2,000 years ago. Pilgrimage sites dotted and routes crisscrossed Europe and the Near East over the centuries, especially driven by the history of the places and the location of relics. The major historic sites include Israel (The Holy Land and especially Jerusalem), Canterbury, Santiago de Compostella, Chartres, Fatima, Lourdes, Iona, and Rome, just to name a few. Is your appetite whetted? Glastonbury Abbey has been sponsoring annual pilgrimages to various spiritual and historic sites since 1999. Father Timothy, with the assistance of Tom Dwyer of Seven Seas Travel, has been planning and accompanying these trips. As these are pilgrimages and not just tourism, time is made for group meetings, prayer, and mass nearly every day. All are welcome! You do not have to be Catholic – just someone who is a seeker after God and interested in significant events and places in the history of Christendom. Celtic Spirituality Pilgrimages were made to Ireland in 1999, 2000, 2002, 2003 and 2006. Celtic pilgrimages to Scotland & Northumbria (northern England), were made in 2004 and 2011. These included the Islands of Iona and Lindisfarne as well as the cities of Glasgow and Edinburgh. A pilgrimage to Italy, focusing on sites connected with the life of Saint Benedict, took place in 2005. A classic "In the Footsteps of Saint Paul" pilgrimage took a group to Greece, Turkey and Rome in 2007. In 2008, Fr. 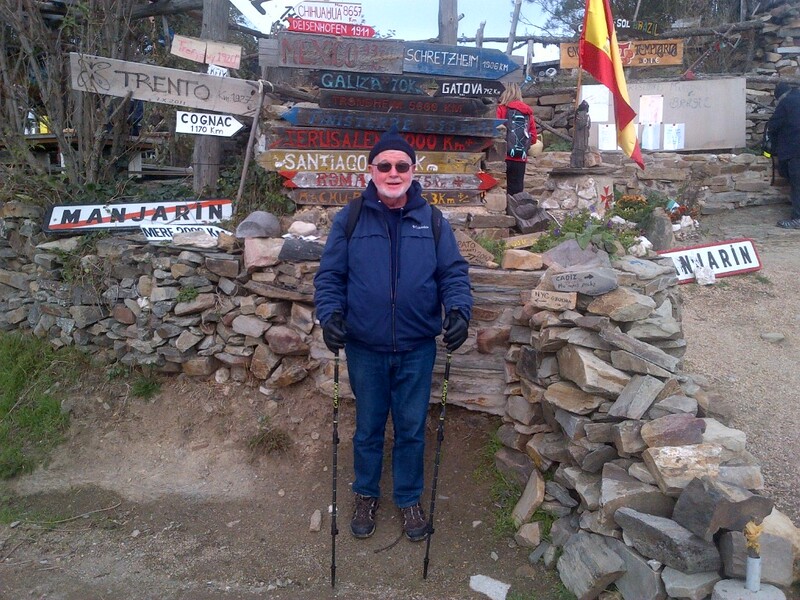 Tim led a "Walking with the Saints" pilgrimage to Northern Spain and France. This tour included Santiago De Compostella, Burgos, Loyola, Lourdes, Lisieux, Mont St Michel, Omaha Beach, Rouen and Paris. A similar pilgrimage was also conducted in 2010 that included Barcelona and Lisbon. 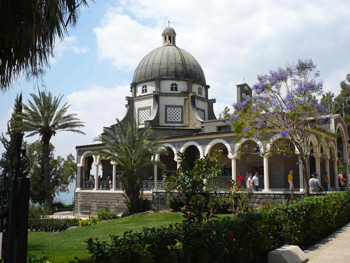 In 2009, a pilgrimage was made to the Holy Land of Israel and included various locations important in the life of Jesus of Nazareth. Among the places visited were Jerusalem, Nazareth, Jericho, Bethlehem, Tabgha, Capernaum, the Jordan River, the Dead Sea, and Qumran. In May of 2012, a pilgrimage was made to Eastern Europe. Sites included Krakow, Auschwitz, Czestochowa and Zakopane in Poland; Budapest and Pannonhalma in Hungary; Vienna, Mariazell, Melk and Salzburg in Austria; Nuremberg in Germany, and Prague in the Czech Republic. 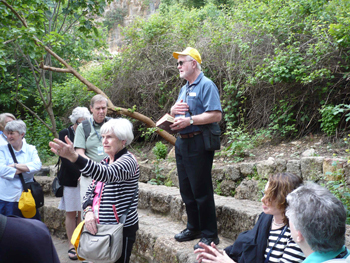 2012 was the year of two pilgrimages - the second came in November when Fr. Tim and some hardy pilgrims walked 80 miles in northern Spain on the El Camino – the Way of St. James on the pilgrimage path to Santiago de Compostella. May of 2013 saw a return to many sites in Italy, including Rome, Assisi, Siena and Venice.